Companies like HTC know how much people use their phone's speakers, and are dedicated to getting the best sound possible out of their handsets. However, this isn't the case for every company, so some phones are left with great quality speakers that have lackluster software powering them. 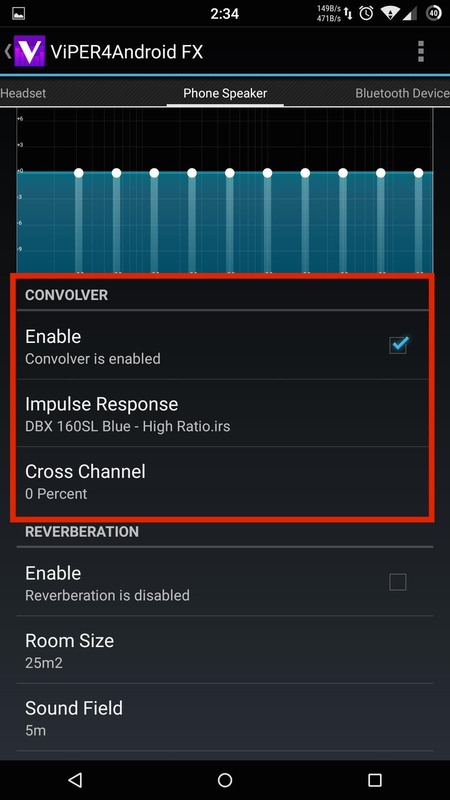 This would be a problem if our devices were locked down, but thanks to the level of customization on Android, we can just change the built-in equalizer. However, many apps out there claim to improve audio, but most are actually just trying to make a quick buck by selling false promises. 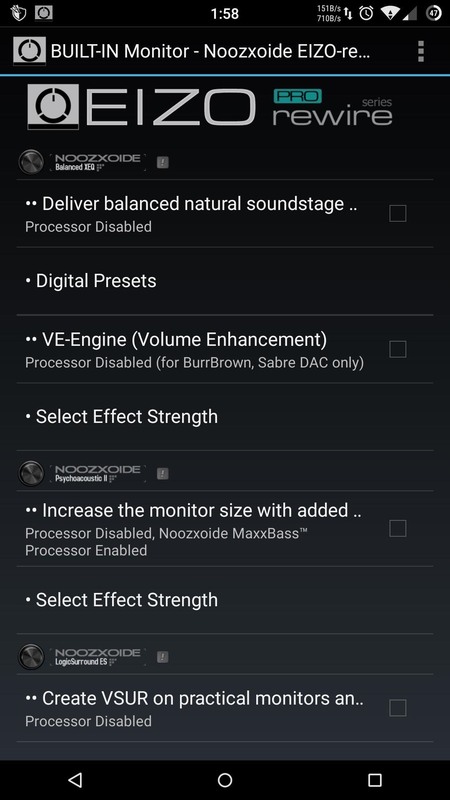 To make your search a little easier, I've compiled a list of my favorite audio mods that I've used most on my various Android devices. Know that some of these will require you to flash a ZIP file in a custom recovery, so you will need to unlock your bootloader. While non-root apps have many of the same features as their root counterparts, they will not be able to override an app's audio output unless the app allows users that type of control. 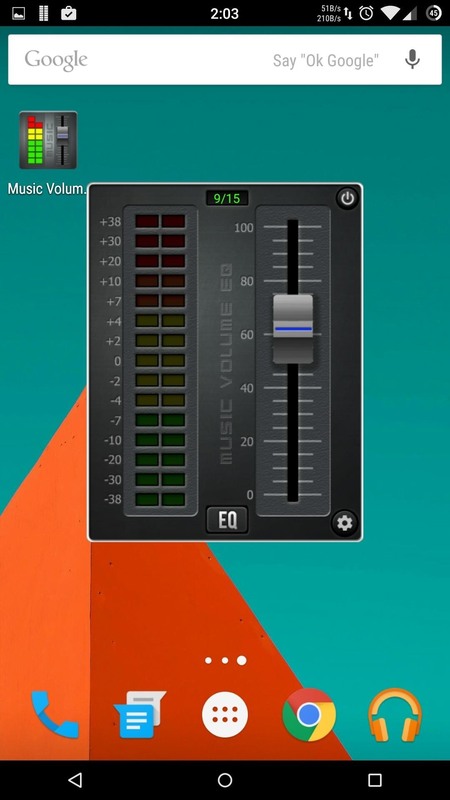 To check if an app supports an equalizer, you will probably have to go into its settings and search for an "Audio" or "Equalizer" tab. 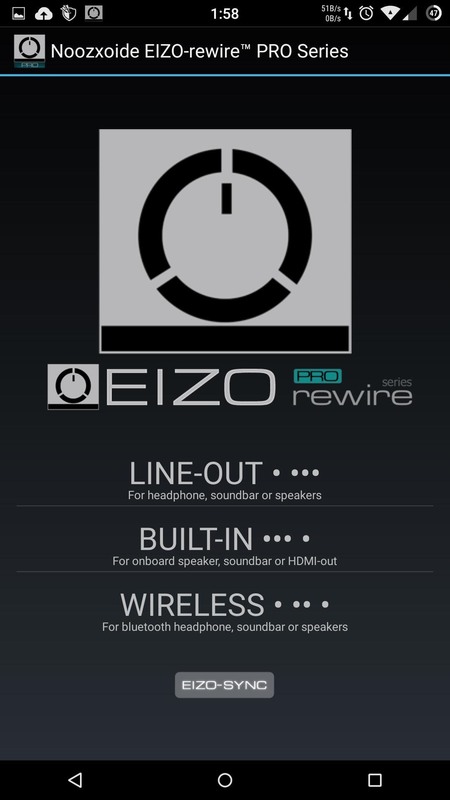 Its odd-sounding name shouldn't dissuade you from giving Noozxoide EIZO-rewire PRO a chance. The app does not require root access, so you can try it without worrying about new audio libraries being installed onto your device. There are three sections to this app: Line-Out (headphones), Built-In (speakers), and Wireless (wireless speaker/headphones). You will find the same audio enhancements in each section, but be sure to enable your desired features before playing any music or videos. Noozxoide does not need to be uninstalled in order to disable it, but you will need to force stop the app by tapping its ongoing notification. Instead of creating a traditional standalone app, K&K design created a widget and app hybrid that floats over your home screen whenever it's opened. With Music Volume EQ, you can play music from any app, then use its widget or app icon to adjust the settings to your liking. 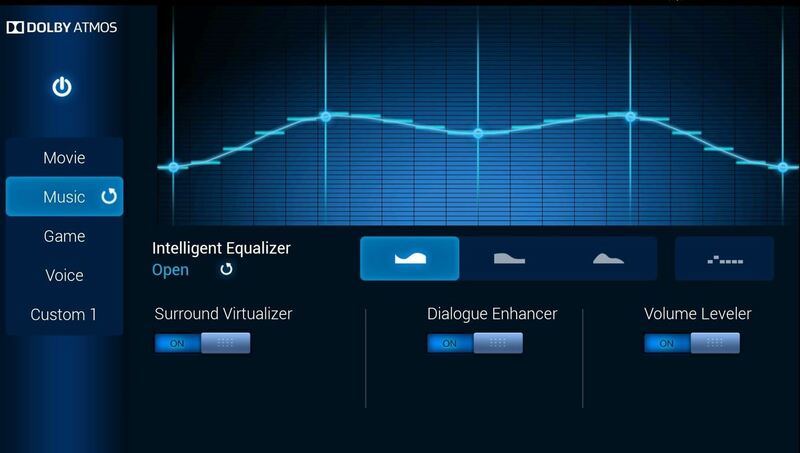 For an ever quicker way to bring up the equalizer, you can tap the Music Volume EQ notification, then select EQ. 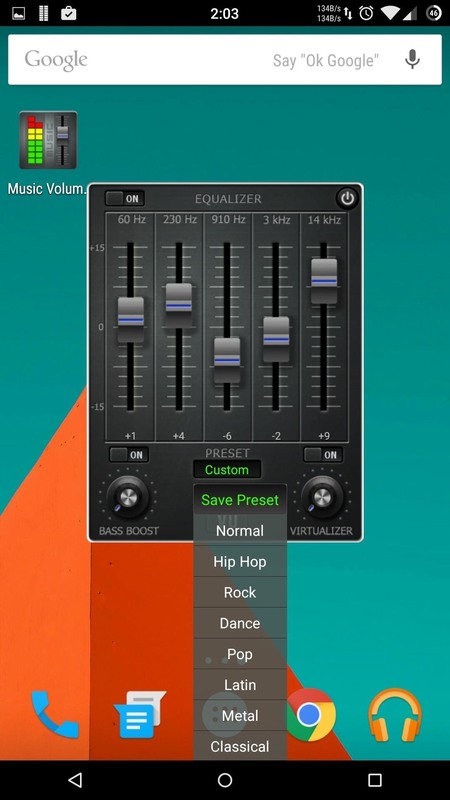 You have the option to use one of the widget's preset equalizers, but you can adjust the EQ sliders to to create your own, then save the preset by tapping the drop-down menu and selecting Save Preset. To disable the EQ, you'll need to tap the Power button on the top-right corner of the floating window. 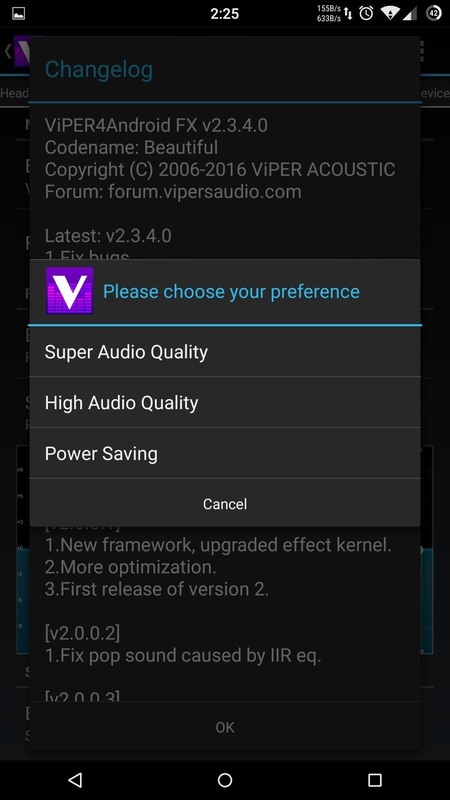 By far the most advanced option in this round up is ViPER4Android by ViPER's Audio. For full installation instructions, check out my guide using an HTC One or Dallas's guide using a Nexus 5, but know that ViPER4Android does require root access. Instructions shown on a Nexus 5. With V4A, you'll get many options that range from adjusting an EQ to loading Impulse Response Samples (IRS), which allow you to mimic the sound style of any high-end equalizers like HTC's BoomSound and Dolby Audio. Instructions shown on an HTC One. IRS files are normally user created, but ViPER's Audio has created their own sample pack with 74 preconfigured options. After downloading the ZIP files, unarchive them and place the extracted files in /sdcard/ViPER4Android/Kernel/. You will need to create the "Kernel" folder if this is your first time installing V4A; you can use one of our recommended file explorers to accomplish that. Now all you need to do is open V4A, enable Convolver, and select the IRS file you would like to use. If the Convolver option is unavailable, tap the overflow menu, select UI Setting, and set it to Expert. If you decide to switch to another audio mod, you will need to uninstall V4A, which can be done through the overflow menu by selecting Uninstall Driver. 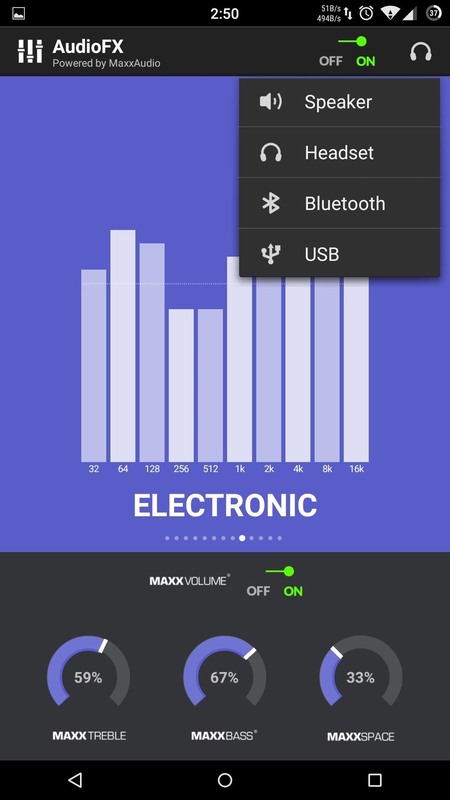 MaxxAudio, aka AudioFX, has been on Android for quite sometime, but due to licensing issues, it has been exclusive to only a few manufacturers. But exclusivity is never permanent in the Android world, and thanks to sorlaz, we now have a functioning port that can run on both KitKat and Lollipop. To install AudioFX, you'll need to download the appropriate ZIP for your device from above, then flash it through your custom recovery. After doing so, you'll see an AudioFX app in the app drawer. 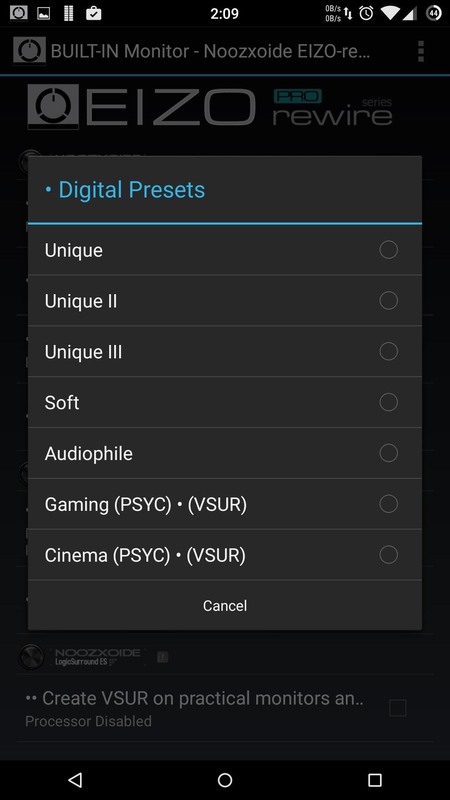 You'll notice the same equalizer settings that are available in all of our previous apps, but at the bottom are a few extra settings. MaxxBass and MaxxTreble are self-explanatory, so you can adjust those levels to your liking. However, MaxxSpace, which is only available through headphones, Bluetooth, and USB, adds a surround sound effect to your audio which can give you the feeling of listening to a live performance. 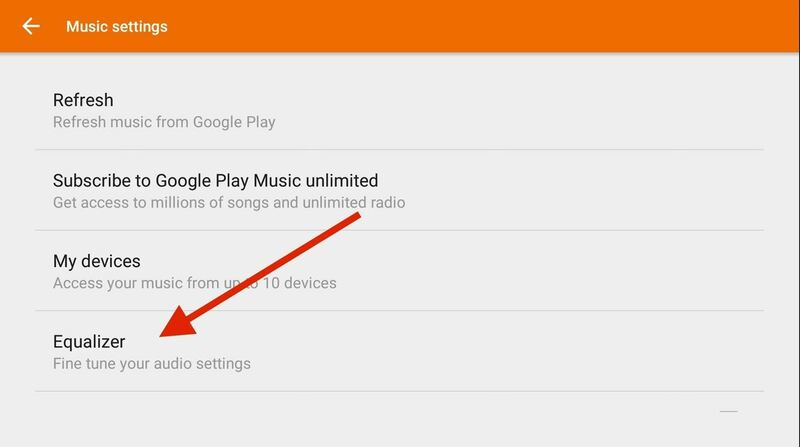 To disable MaxxAudio, all you have to do is set the slider on the top of the app to Off. I have also covered Dolby Atmos in a previous guide, so for a full breakdown of all its features, be sure to check that out. 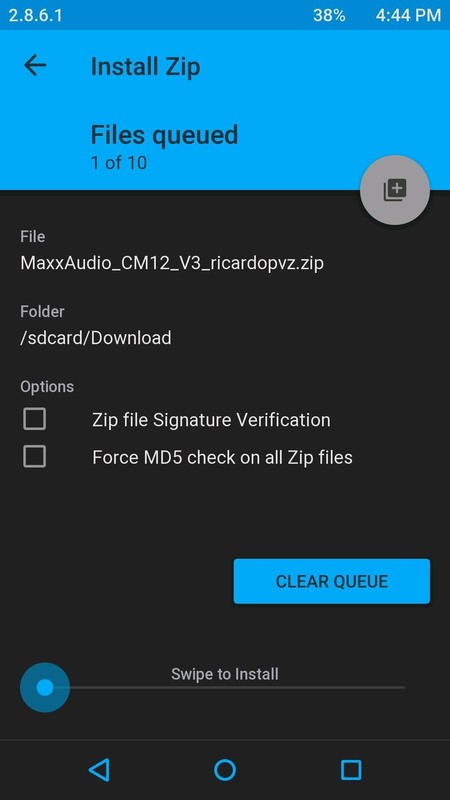 For the most part, you'll be getting a similar experience to ViPER4Android, but with a more simplistic feel, like MaxxAudio. And just like both of those apps, Dolby Atmos requires root access since you will need to flash its ZIP file through TWRP. At the end of the day, the audio mod you go with depends on your personal taste, but my clear-cut winner is ViPER4Android. The sheer amount of extras, coupled with the ability to load different sound profiles through IRS files, make it a clear winner for an Android power user like me. But, if you don't have root access on your device, I'd suggest going with Noozxoide EIZO-rewire PRO. No matter which way you go, you'll certainly notice an improvement in your Android's audio immediately. I just tried the number #1 option and its really great choice! i can manage how smooth the music i listen, and the bass from built in mp3 player increased without any noise or annoying sound!! !